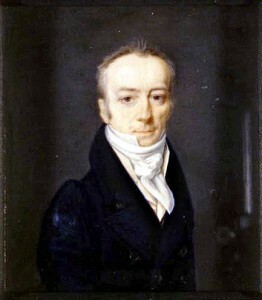 James Smithson is the English chemist/mineralogist whose donation created the Smithsonian Institute. Credit: Portrait from Smithsonian Institute. June 27 marks the passing of James Smithson. Smithson was a British chemist and mineralogist. Smithson was a Royal Society fellow who studied a variety of subjects such as human tears, snake venom. His work determining the true nature of one form of the mineral calamine. Most calamines are a mixture of zinc oxide and ferric oxide. He showed this particular mineral was a zinc carbonate crystal. This form of calamine is now known as smithsonite in his honor. He was born James Lewis Macie, an illegitimate son to Hugh Percy, 1st Duke of Northumberland. He changed his name to Smithson after both parents had died and inherited a sizable fortune from his mother. He spent most of his life travelling around Europe indulging his scientific curiosity. He never found time to marry or have a family. When he died in 1829, he left his sizable estate to his nephew. No one knows the reasons why Smithson decided to include the new country in his will. When his nephew died childless in 1885, the United States had a claim to the estate. President Andrew Jackson was unsure if the Constitution allowed him the authority to accept the bequest and asked Congress to pass a law allowing him to continue. Debate was pretty fierce between those who wanted to take the money, felt it was beneath the country’s dignity to accept presents from anybody, state’s rights advocates those who felt the Constitution had no provisions for this situation. Ultimately, the law was passed and Jackson sent a diplomat named Richard Rush to England to claim the funds. It took two years for Rush to finally settle the issues and sell off all of Smithson’s properties. He returned to the United States with eleven strongboxes of gold sovereigns, Smithson’s mineral collection, library and scientific notes. When the coins were melted down and added to the national treasury, they were valued at $508,318.46. The next step was deciding what to do with the money. Some advocated creating a national university. Others wanted a museum or observatory or a scientific institute. After years of debate, the Smithsonian Institution would grow to become the world’s largest museum and research complex containing 16 different museums, research institutes and the National Zoo. All this was possible because of one man’s gift.